Imperial College Health Partners (ICHP) has evaluated a new kind of surgery for prostate enlargement, finding that it could potentially save the NHS millions of pounds a year in complication-related costs. 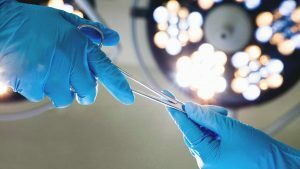 The evaluation found that replacing traditional surgery for benign prostatic enlargement involving tissue removal, with a minimally invasive treatment that uses implants and avoids tissue removal, could halve post-operative complication rates and save the NHS £27 million a year in complication-related costs. ICHP, the Academic Health Science Network for North West London, presented their findings for the first time this week at the International Society for Pharmacoeconomics and Outcomes Research (IPSOR) conference in Baltimore, US. ICHP’s research is the first ever published economic data analysis comparing traditional surgery known as TURP – transurethral resection of the prostate – with the minimally invasive UroLift® System. UroLift uses permanent implants to hold back the enlarged tissue. This research was undertaken to measure the burden of care with the standard surgical treatment option for Benign Prostatic Hyperplasia, known as benign prostate enlargement. This was done in order to provide a benchmark against which newer treatment options, such as Urolift, could be measured. Benign prostate enlargement is very common in older men, affecting a third of men in their 50s and rising to 80% of men in their 70s. Over 18,000 traditional surgeries are performed across England each year for benign prostate enlargement. TURP – a technique that involves cutting away parts of the prostate – carries a 65% risk of ejaculatory dysfunction after surgery; 10% risk of erectile dysfunction; and additional risks of urethral stricture; infection; and bleeding requiring a transfusion. Permanent urinary incontinence affects 2% of men who had a TURP. According to the analysis, which assessed NHS data from England, many men who had TURP continue to have related problems which needed hospital treatment: for men who had a TURP from 2009-10 to 2014-15, cumulative data showed that 70,000 hospital visits were required. Other studies have shown that around 14% of patients who had a TURP needed to go back to taking medication for their symptoms of prostate enlargement within a year; a fifth were back on medication by three years and 40% were taking medication again within five years. In comparison, long-term follow-up of men treated with UroLift showed they did not need to stay in hospital overnight and experienced no new sexual dysfunction; medical therapy was restarted in 4% of men after one year and 11% of men after five years. Post-operative problems such as discomfort and bleeding were mild and resolved with two – four weeks without hospital treatment. Andi Orlowski, Head of Business Intelligence at Imperial College Health Partners, who presented the data at the Baltimore event, said: “Data analytics like this gives the NHS the power to transform healthcare through innovation – not just in terms of cost reduction – but to also improve patient outcomes. Co-author, Consultant Urologist Mr Oliver Kayes from Leeds Teaching Hospitals NHS Trust, says: “This data analysis shows how the NHS can move from a service providing mainly inpatient treatment involving traditional surgery with general anaesthesia to a new world of minimally invasive, day case treatment performed under a local anaesthetic. Converting to minimally invasive techniques can help to limit a number of unwanted, distressing side effects often seen in men after traditional surgery. The independent evaluation is one of a number of studies ICHP has recently undertaken looking at how innovative products can be used to make care safer and more effective, with a recent study looking at how diabetes apps can help patients manage their condition better and reduce dependence on medication. The UroLift® System is recommended by NICE (MTG26), and more recently, by the Accelerated Access Review as an innovative medical technology with cost-saving potential. It is also eligible for the Innovation and Technology Tariff, effective from 1 April 2017.